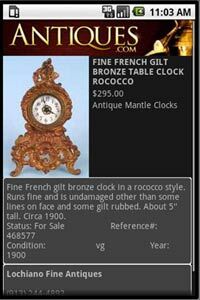 Direct from Antiques.com, research and find antiques from 200 categories. Input desired item, click "Go" and quickly retrieve a list with price. Select an item and retrieve full description and thumbnail.